Grandmaster Zurab Azmaiparashvili, a former top 10 player and many time winner of prestigious international tournaments has become the new head trainer at the ASEAN Chess Acadamy, a position he took up soon after winning the Singapore Masters last December. A FIDE Vice President, Azmaiparashvili is equally famous as a coach, being a FIDE Senior Trainer who has worked with now retired world champion Gary Kasparov whom he also lost a match to in 2003! 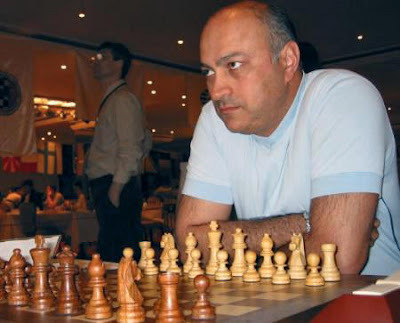 He became a grandmaster in 1988 and some notable successes include being USSR Junior Champion in 1978, becoming Champion of Georgia in 1980, having the best result at the Elista Olympiad, the winner of the GMA World Cup qualifying tournament in 1990, and of course European Champion in 2003. Azmaiparashvili has also taken first place in tournaments in Albena (1984), Harare (1985), Tibilisi, Moscow, and Albena (1986), Amsterdam, London, and La Havana (1988), Toledo, and San Sebastian (1992), and Struga (1995), and has beaten many World Champions including the legendary Anatoly Karpov and current holder Viswanathan Anand.